Charlotte has multiple sclerosis and she couldn’t walk safely around the park where she lives in Huddersfield as she didn’t have the strength to apply the brakes on her rollator. DEMAND adapted the brakes so she could use them more effectively and also made and fitted special brackets that allowed her to restrict the free movement of the wheels and slow the rollator down. 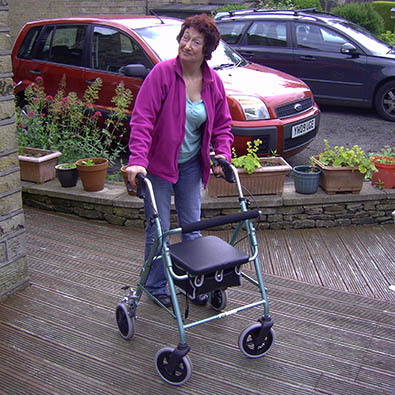 She is really happy with the adaptations we made for her and can now go out and enjoy her walks confidently.